We are a private pediatric therapy practice currently offering occupational therapy services for your child and family in their most natural environment. Often therapies provided in artificial environments demonstrate difficulty with skill generalization to the everyday environment. It is our belief that by providing therapeutic services in your home, child’s school, or their most comfortable surroundings we will provide your child and family with the necessary skills for your child’s optimal growth. 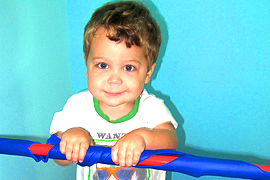 We have the pleasure of offering pioneering, comprehensive, and evidence-based occupational therapy services throughout Palm Beach County to a wide variety of children with various capabilities and diagnoses. At Palm Beach Children’s Therapy, LLC we believe that all children are capable of growth and that all people have a right to the highest level of therapeutic service. Our goal is to respond to the needs of our community by providing our clients and their families with innovative, effective therapy services that result in superior customer satisfaction and the highest possible individual functional gains within the child’s most natural environment. At Palm Beach Children’s Therapy, LLC we strive to be a leader within our community, providing innovative and state of the art therapeutic pediatric services in the child’s natural environment, empowering children and their families, and enhancing the future by helping children to succeed. What is Therapeutic Listening ®? Why do our kids need to learn handwriting in this “techno” age? A treatment approach that uses music to help your child optimally process information in their environment. 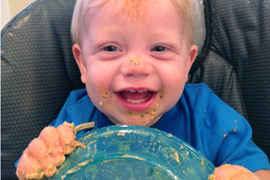 A developmental approach to solving feeding problems for your child. 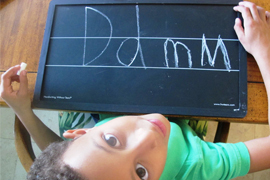 Private handwriting instruction to help your child keep up with the Common Core State Standards and succeed in school.